A joint initiative by BCM Institute and the Singapore Workforce Development Agency (WDA). 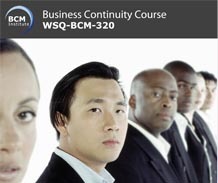 This is the second in a three-part series WSQ BCM workshops. Participants who complete the three part series will be able to achieve a Business Continuity Certified Specialist (BCCS) certification*. The workshop covers applying facilitation techniques to support the development of organisational business continuity strategies and interpreting the strategies, assisting in developing business continuity plans, as well as recommending refinements to the developed strategies and plans in consultation with relevant stakeholders. * Completion of all three workshops with a $200 Qualifying BCCS examination fees. 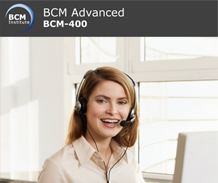 The Business Continuity Certified Specialist (BCCS) certification is awarded to participants who successfully completed the three part series. To train participants to facilitate the development of business continuity strategies and plans. Senior and Middle Management, Department Representatives, Business Unit BCM Coordinators, Organisational BC Coordinators and Planners. Newly appointed members of the BCM team. Any member of the organisation involved in the implementation of a Business Continuity Management System (BCMS). New to BC or DR, or recently been involved in BC or DR project /programme within your organisation. ** For more information on funding, please visit www.skillsconnect.gov.sg for eligibility details and WSQ application.